Do you know what 360 degree feedback process or 360 evaluation means? I asked co-workers, friends and family what they thought it meant. Some of the responses were very interesting. “Is that some new deodorant?” “Is that like a power surge?” “That’s some kind of disease isn’t it?” What does 360 degree feedback system mean? …from each other about the efficiency of their professional development. 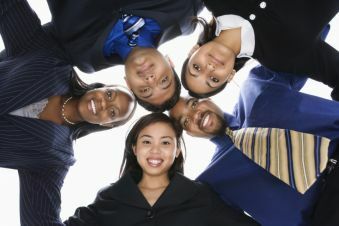 Thus the term 360 degree feedback, meaning a circle of those co-workers, managers and customers around you. ...review may provide an excellent way to get a fair and unbiased evaluation of a manager or employees professional development. A 360-degree feedback method is usually most successful when co-workers view how an employee or manager conducts themselves. Feedback should offer a way to determine what talents and tools a company or organization needs to operate in the most efficient customer satisfaction manner. Whatever the name the intention of the feedback should help identify the weaknesses and strengths of the workforce. It should also contribute a plan of action for the professional development of each individual. Properly applied 360 feedback can help employees improve performance and skills in the workplace. It can target precise information about areas employees need to keep up to date. It also aids in identifying the specific knowledge, essential functions and characteristics that are critical to the individual’s job. A good feedback program will generate trustworthy and clear suggestions of how employees and managers can improve by providing a solid plan of action. Given the culture of my local government workplace, having access to meaningful 360 assessments resources would be a welcome and intriguing change! It’s truly fascinating how the 360 degree review process works. The advantages of a 360-degree feedback can help employees and employers get an honest insight into workplace personal and management development. The key is to learn how the basic process works, especially for the employee. A performance appraisal review isn’t like a 360 degree performance evaluation. 360 degree appraisals are used to reveal how capable and talented the employee is in carrying out the activities of the job. 360 feedback also measures her progress in personal and management growth through a circle of peer review. An employee performance appraisal is management’s evaluation of the employee in meeting defined goals. It also determines the outcome of those goals and contributions the employee made in reaching them. These evaluations are typically conducted by manager in a one-on-one setting with the employee. Bonuses or pay increases are also associated with the level of goals attained by the employee. Is there someone you care about needing to know what a 360 degree feedback is? If so then TELL A FRIEND about this page below. Yvonne receives a 360 degree assessment from several employees and managers about her ability to produce, construct and improve 1000 widgets. It focuses on her skills in communication, adaptability, relationships, teambuilding, etc. It shows how well she perceives her growth in these areas and how others see that growth from their perspective. A 360 feedback instrument should also target areas of improvement and seek to enhance performance and abilities. It looks forward to the setting of goals and objectives. Yvonne receives an employee job evaluation from her manager. It focuses on a set goal of how many widgets she produced, which is 900. 1000 is the set goal from the last job performance appraisal. The job performance review usually focuses on what Yvonne did in the past. It also deals with her ability to communicate, adapt, teamwork, etc. However, instead of several co-workers and managers being involved in the process, she receives a performance appraisal report from a single manager. The manager may not give a fair or accurate performance appraisal review. A job appraisal is usually used to determine things like pay increases and bonuses. As employees its important for us to understand the difference between employee job evaluations or employee appraisals and 360 feedback programs. Companies are now using a combination of both 360 degree feedback systems and job performance appraisals. This has become very controversial because of the potential dangers it poses to employers and most importantly to the employees. Be sure to follow the link and check out this important page dealing with 360 feedback appraisals. To learn more about the advantages of a 360 feedback, follow this 360 degree-feedback benefits link.